The Law Office of Ryan P. Sullivan is a Lowell law office handling exclusively criminal defense for any case, investigation, restraining order, or related matter you may have. Attorney Sullivan is a former Middlesex prosecutor who has extensive experience in leading criminal investigations, trying cases, and handling appeals. Mr. Sullivan was an award winning Assistant District Attorney, working in many local district courts as well as the Middlesex Superior Court. Since starting his own Lowell criminal defense firm in 2014, Mr. Sullivan now uses the skills he learned as a prosecutor to better serve his clients as a respected Lowell criminal defense attorney. Attorney Sullivan uses the skills he learned to formulate a winning strategy with his clients. In your initial consultation with Attorney Sullivan, he will go over your case, the likely defenses you can raise, and the consequences as a result of the criminal charges. One of the cornerstones of Attorney Sullivan's practice is communication. He strives to answer any question or address any concern quickly, efficiently, and accurately. 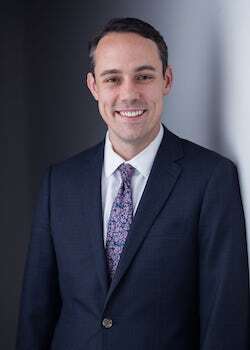 Attorney Sullivan prides himself in thinking creatively to develop unique and custom-tailored approaches to the problems his clients face. He is well known and well liked in courthouses from Lowell, Lawrence, Ayer, Concord, and other Middlesex, Essex, Worcester, and Suffolk county courts. He approaches the defense of his clients with enthusiasm, intelligence, and commitment. Attorney Sullivan has seen results at all stages during his clients cases. From pre-arraignment dismissals, to not guilty findings at trial, to dismissals on the day of trial, Attorney Sullivan's ability and willingness to defend his cases from beginning to end allow him to get the best result possible for his clients. He works hard to investigate your case, pursue creative approaches, and develop complex strategies for his clients by anticipating and planning for all the possible moves by the prosecutors and the police. He is a dedicated attorney who approaches each case with a positive outlook. Each case is different and every client is looking for their own goals in achieving the best results possible. Attorney Sullivan will thoroughly discuss your case, your options, and start forming a plan from your initial consultation to the conclusion of your case. An attorney who has tried cases on both sides, has experience in the court where your case is pending, and is confident and experienced are all tools Mr. Sullivan suggests your Lowell defense attorney should possess. If you or a loved one is facing an investigation, was arrested, or has an upcoming court date, call Ryan Sullivan today to learn more about how he can help you in your time of need. All consultations are free and entirely confidential.